Let`s start with the beautiful Huntington Beach. Yes, it`s called “Surf City” because of its vibrant surfing culture. Besides surfing there are a lot of different activities around here. Enthusiasts cycle for dozens of miles along uninterrupted stretches of beach, go fishing, kayaking or just play volleyball. Moreover, there is fantastic bird watching in restored wetlands waiting for you. In the evening enjoy stunning red sunsets from your seat at a beach bar while sipping your pina colada. The second great place to visit on vacations is Palm Springs. It welcomes you with 350 days of sunshine per year. Professional golf and tennis tournaments take place in Palm Springs. Because the city offers many golf courses and tennis courts it is also a great place to practice your swing and forehand, respectively. You will always remember hiking in front of its breathtaking mountain scenery and the sight of our milky way on the night sky. And, of course, you will enjoy the awe-inspiring scenery of Mammoth Lakes. It’s famous for its winter skiing, but believe me, you won’t regret coming here in summer either. You will love its pristine hiking trail, uncrowded bike paths and rich fishing sites. Cannot leave California without having visited the Joshua Tree National Park. Backpacking, camping, horseback riding, rock climbing, mounting biking is only a small list of cool thing this park offers to you. The amazing state of California provides any activity you are into. Come and make it your own. TutorZ has more than 5000 tutors in state of California. They can help you with tennis, golf, cycling, volleyball, basketball, and other outdoor activities. Find your perfect California tutor here! This entry was posted in summer break and tagged basketball, California, cycling, golf, Huntington beach, Joshua Tree National Park, Mammoth lakes, Palm Springs, summer, summer activities, tennis, volleyball. 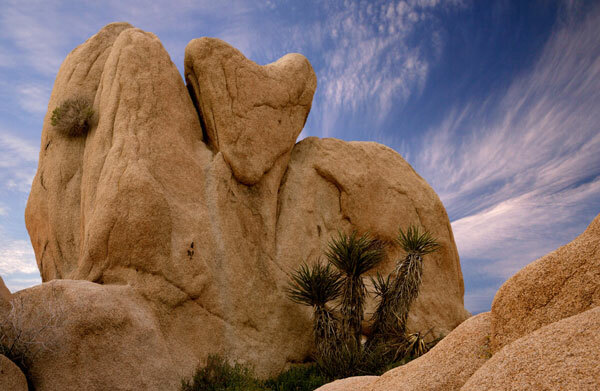 Over thousand of years the wind has carved this stone heart…amazing.